A new Irish Times poll outs the gap between the two sides at 12 percentage points. Both sides are likely to intensify their campaigns. A NEW OPINION poll has found that the Yes side retains a clear lead in the Eighth Amendment referendum but that it has lost support since the last poll. The Irish Times/Ipsos MRBI poll found that 44% of voters support the repeal of the amendment while 32% are against. A total of 17% said they are undecided while 7% either refused to say or said they would not vote in the referendum. The 12 point held by the Yes side is tighter than the 19 point lead they held in the previous poll published on 20 April. Since that poll, the repeal side has seen its support drop by three points while the retain side has seen its support grow by four points. Interestingly, there was a small increase in those who either said they were undecided, would not vote or refused to say, 23% in April compared to 24% now. In that vote, 20% said they were undecided compared to 17% now. Excluding those who did not state a preference, the Yes side sits on 58% while the No side is on 42%. That 16 point lead is a 10 point drop in support for the Yes side since the last poll when the Yes to No ratio was 63% to 37% . The polls tightening ahead of the referendum was predicted by both sides but the closer race is also likely to intensify campaigning ahead of next week’s 25 May vote. 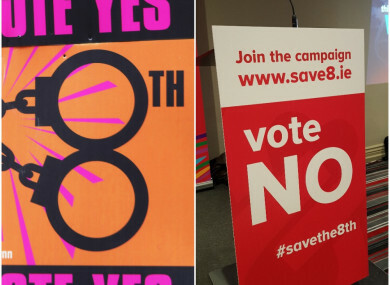 Reacting to the poll, pro-repeal campaign group Together for Yes has said that it will indeed be doing more in the eight days remaining. “Once again a national poll shows strong support for change amongst the Irish public,” said co-director Orla O’Connor. From the first moments of the campaign Together For Yes have said we expect this to be a tough campaign which involved robust debate and discussion on both sides. Email “Opinion poll: Repeal side still leads with a week to go but it is losing support”. Feedback on “Opinion poll: Repeal side still leads with a week to go but it is losing support”.